The big reveal for Ice Cream Sandwich is happening tomorrow, but as always, that won't stop us from giving you some new info tonight. 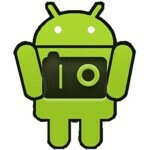 There is new word coming from Android Police that Ice Cream Sandwich will finally be getting native screenshots. Screenshots have so far been relegated to certain manufacturer UIs like Samsung's TouchWiz, or to the root community through apps like Shoot Me. With Gingerbread, Google had built in the capability for developers to add the option of taking screenshots within an app, but there hasn't been options for system-wide screenshots. Now, it seems that we'll be able to do just that in ICS by simply pressing the power and volume down buttons. Behind this process are two binaries: screenshot and screencap, which apparently existed in Honeycomb, but weren't hooked to a specific key combo. So, there we go, native screenshots will finally be in Android. yayyy! bout time... now i know what it feels to be an isheep and always be late to the party... and oh yea.. 1st! Oh Dirty, starting the fight early! haha This is an incredibly useful feature every once in a while. Glad to have it! Sammy has had it for a bit on some of their phones, but its good to see this will be incorporated in all of Android. Last month SE's 2011 xperia lines was graced with this said ability, kinda cool and most of all usefull, nice it'll be implemented in the ICS update. . .
Boring... My EVO 3D has been doing it since the device launched. Power button + Home button for a screen shot capture.